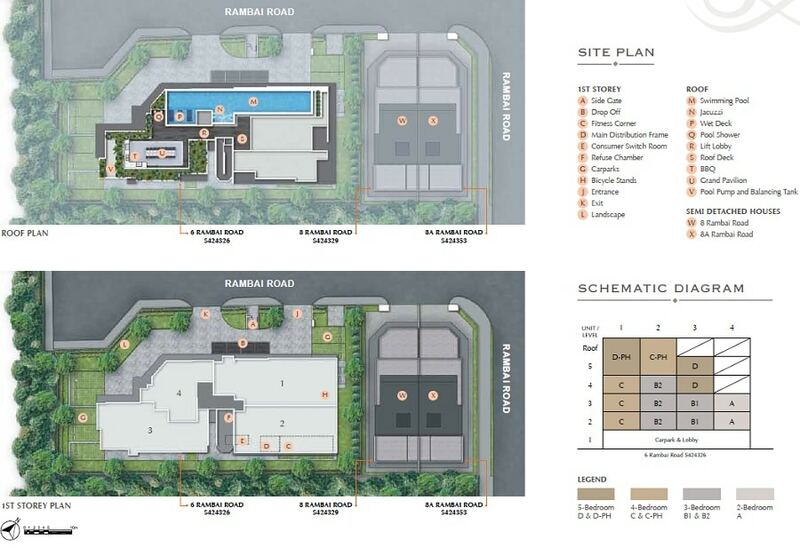 The Ramford is an upcoming residential development that is located in the Katong Planning Area which is the subzone of the main Marine Parade Planning Area of District 15, Eastern Region of the island. 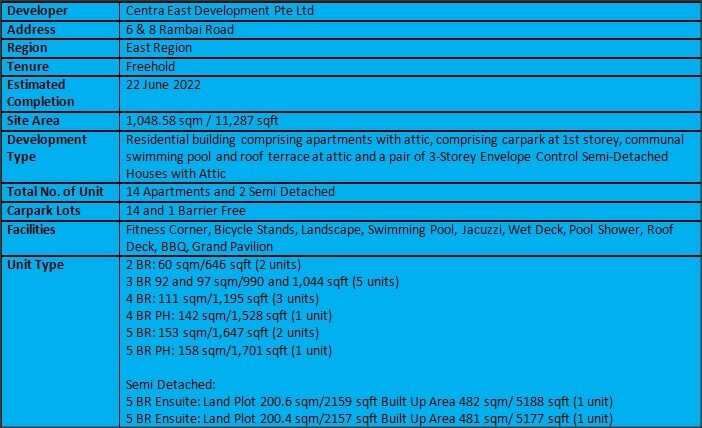 The site is located along Rambai Road, it is opposite of Sunshine Regency and Rambai Court which are also located along Rambai Road. Right behind The Ramford is the Everitt Apartments. The architecture of this freehold residential development is inspired by houses of London Mews. Mews houses built in during the 17th and 18th centuries, originally to be stables below and living accommodations above. The mews houses today have been restored for a quirky architecture.The mews are some of London’s prettiest streets house these beautiful mew houses. The developer for this development is Centra Holdings, an up and coming local boutique developer which based on its philosophy of development is central to its people. Their creative space usage and quality hosing focus is a platform for owners to develop their families and businesses. They have till date built a number of residential developments and homes for many. Their industrial developments also incorporate lifestyle concepts for a good work life balance. The group will work to provide new prepositions to their future developments. This development has a total number of 14 residential units. Units types available at the development include 2 bedroom units, 3 bedroom units, 4 bedroom units, 5 bedroom units, penthouse and also 2 semi-detached houses. Facilities at the development include Swimming Pool, Outdoor Shower, Pool Deck, BBQ Pavilion, Bicycle Lots, Green Wall and Fitness Area. The units are also equipped with Security System and Smart Home System. Other developments that are within The Ramford’s vicinity include Aura 83, Carpmael 38, Sandy Eight, Park Place Residences, Sixteen 35, Rezi 35, Alpha Apartments, Park 1 Suites, Ventura View, The Amery, One Eighties Residences, The Mint Residencesm Aspen Loft and Parc Bleu Residences. The development is approximately 1 km away from the Eunos MRT Station which operates the MRT East West Line. The station is just 1 station away towards the Jurong East MRT Interchange Station from the Paya Lebar MRT Interchange Station which the MRT Circle Line is readily available. 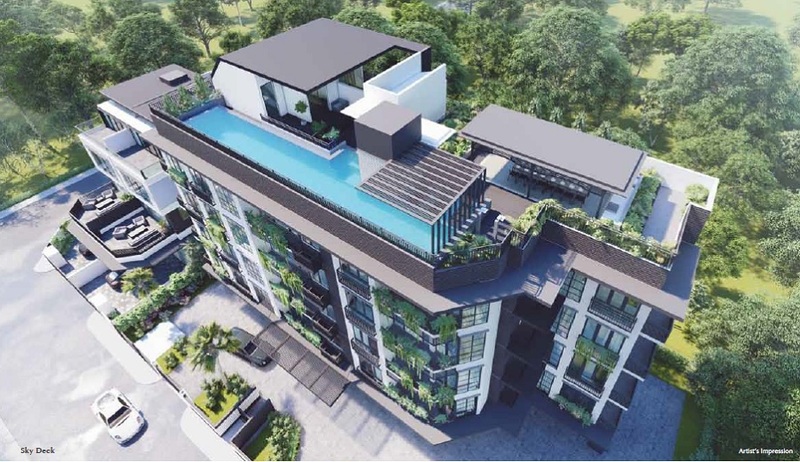 The development is also approximately 900 m away from the upcoming Marine Parade MRT Station where the upcoming MRT Thomson East Coast Line will be operating. This station is schedule to start its operations in year 2023. For drivers, the development is approximately 18 minutes’ drive to the Central Business District (CBD) and also approximately 19 minutes’ drive to the Orchard Shopping Belt. The development is also close proximity to the Pan Island Expressay (PIE), the Kallang Paya Lebar Expressway (KPE) and East Coast Parkway (ECP) which can bring future residents to rest of the island. For shopping and dining amenities, The Ramford is close to shopping malls such as I12 Katong, Katong Plaza, The Odeon Katong , Joo Chiat Complex and Katong V. It is also close to the Paya Lebar shopping precinct where the One KM Mall, Singapore Post Centre, Paya Lebar Quarter and Paya Lebar Square are located. It is also close to food centres such as Dunman Food Centre, Geylang Serai Market and Food Centre, Blk 84 Marine Parade Central Market and Food Centre, Blk 4A Eunos Crescent Market and Food Centre, Blk 13/14 Haig Road Market and Food Centre and Blk 50A Marine Terrace Market and Food Centre. For families with school going children, the development is close to Haig Girls’ Primary School, Tanjong Katong Primary School, CHIJ (Katong) Primary School, Tao Nan Primary School, Eunos Primary School, Ngee Ann Primary School, Saint Stephen’s Primary School, Kong Hwa Primary School, Maha Bodhi Primary School, Tanjong Katong Secondary School, Tanjong Katong Girls’ Secondary School, Saint Patrick’s Secondary School, Chung Cheng High School (Main), Manjusri Secondary School and Victoria Junior College. Serenity – The Ramford is located in the quiet private residential enclave. Prime – The Ramford is located in the prestige district 15. 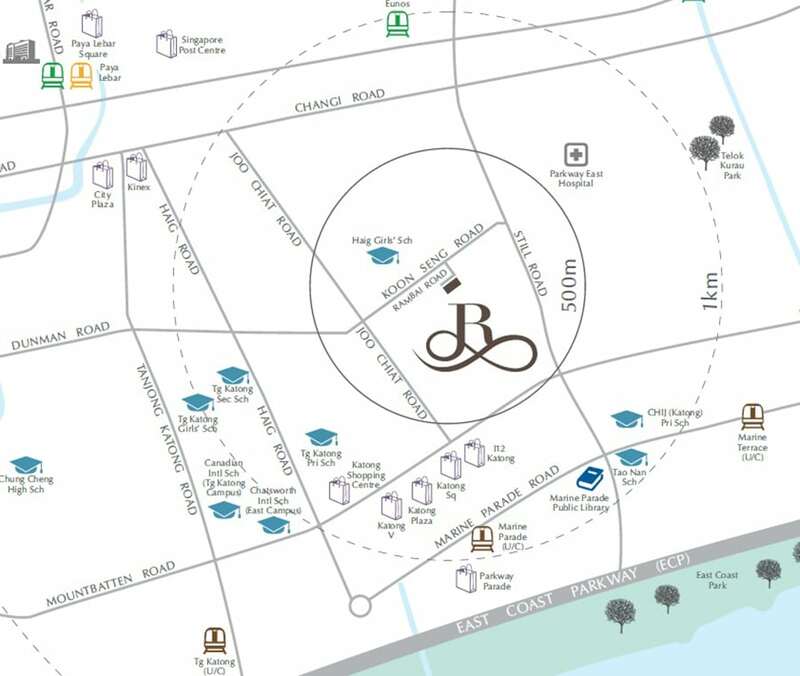 Amenities – It is surrounded by shopping malls and food centres. Want to be a proud owner of a unit in The Ramford? Thank you for your interest in The Ramford!